Injectology is interactive Cosmetic Training for Medical Professionals (RN’s, NP’s, PA’s, MD’s and DO’s). 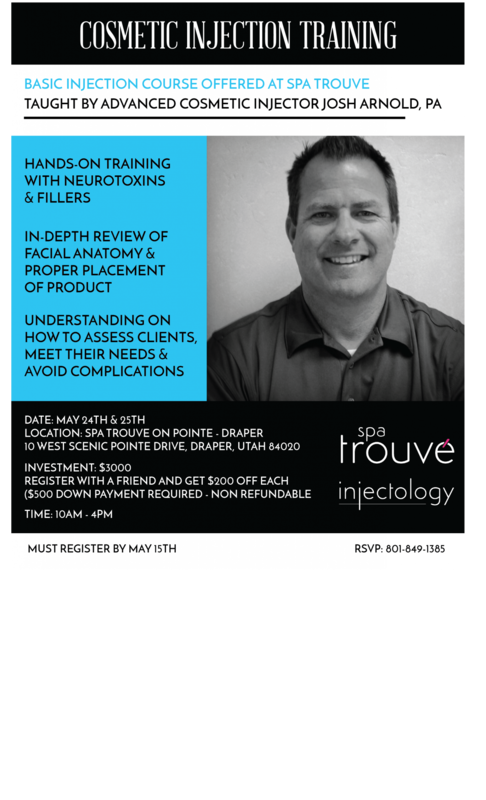 This 2-day course provides you with the necessary training to perform Botox and Dermal Filler procedures. The first day of the course includes 6 hours of theory, and provides an overview of all of the current products on the market, proper placement of these products, anatomy of the face, and how to assess and properly treat clients. The second day of the course includes hands-on training with live models, giving you the ability to practice Botox and Dermal Filler injections with direct oversight from an experienced, certified trainer. The total course cost is $3000, and down payment is $500 to reserve your spot.